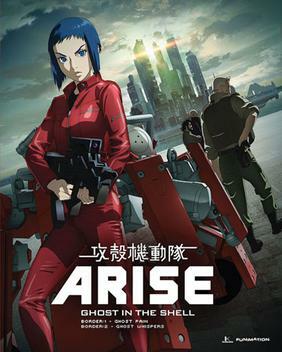 The last trailer of border4 Ghost in the Shell Arise 「攻殻機動隊ARISE」the 4th ova, so if you didn’t watched yet , give a look. Ghost in the Shell: Arise is a four-part OVA series that serves as a re-imagining of Masamune Shirow’s Ghost in the Shell. The four-part series features new character designs and is directed by Kazuchika Kise, screenplay by Tow Ubukata, and music by Cornelius. Primarily set in the mid-twenty-first century in the fictional Japanese city of Niihama, Niihama Prefecture (新浜県新浜市 Niihama-ken Niihama-shi? ),[Note 1] otherwise known as New Port City (ニューポートシティ Nyū Pōto Shiti? ), the manga and the many anime adaptations follow the members of Public Security Section 9, a special-operations task-force made up of former military officers and police detectives. Political intrigue and counter-terrorism operations are standard fare for Section 9, but the various actions of corrupt officials, companies, and cyber-criminals in each scenario are unique and require the diverse skills of Section 9’s staff to prevent a series of incidents from escalating. In this post-cyberpunk iteration of a possible future, computer technology has advanced to the point that many members of the public possess cyberbrains, technology that allows them to interface their biological brain with various networks. The level of cyberization varies from simple minimal interfaces to almost complete replacement of the brain with cybernetic parts, in cases of severe trauma. This can also be combined with various levels of prostheses, with a fully prosthetic body enabling a person to become a cyborg. The heroine of Ghost in the Shell, Major Motoko Kusanagi, is such a cyborg, having had a terrible accident befall her as a child that ultimately required that she use a full-body prosthesis to house her cyberbrain. This high level of cyberization, however, opens the brain up to attacks from highly skilled hackers, with the most dangerous being those who will hack a person to bend to their whims.